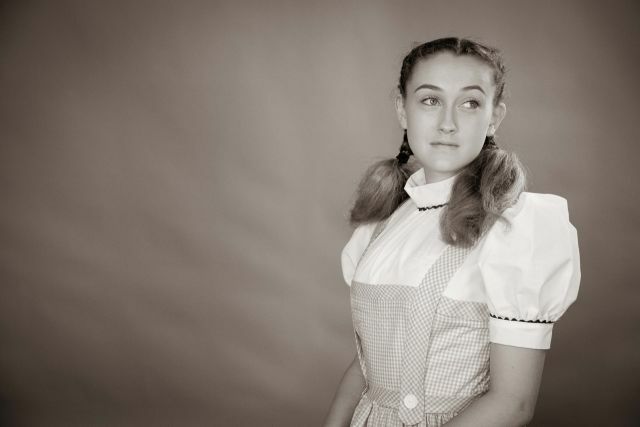 Australia’s oldest musical society is taking a journey down the Yellow Brick Road in September 2019. Rockdale Musical Society is celebrating its 80th anniversary this year and kicking of a special season of festivities and shows with The Wizard Of Oz. This production of The Wizard Of Oz is an enchanting adaptation of the all-time classic developed from the ever-popular MGM movie of the same name, “which ironically was released the same year as Rockdale Musical Society was formed,” says RMS President Fran Appleyard “This was one of the deciding facts for putting this show on”. The stage version of the show contains the beloved Harold Arlen and E.Y. Harburg songs from the Oscar® -winning movie score, along with all the favorite characters and iconic moments that make The Wizard of Oz a favourite for the young and young at heart. The role of the Wicked Witch of the West will be played by Nicole Butler, who was last seen on the Rockdale Town Hall stage as Aerial in RMS’s The Little Mermaid. The cast also includes Dan Schneider as Lion, Brad Gavin as Tin Man, Tim Wotherspoon as Scarecrow and Laura Garrick as Glinda. Toto will be played by a real dog. Not unfamiliar to the stage, Bruiser, has been seen in shows such as Legally Blonde and Little Shop Of Horrors. Being the first show in the Society’s 80th year, no expense has been spared to make this a memorable production. “We are going all out, keeping the show looking and feeling like the show everyone knows, but moving ahead with flying sets and special effects on a scale we have only ever dabbled in before,” says the show’s director. Click your heels together and join Scarecrow, Tin Man, Lion, Dorothy and her little dog Toto, as they journey through the magical land of Oz to meet the Wizard and obtain their hearts’ desires. Watch out for the Wicked Witch of the West and her winged monkeys as you rediscover the story of Oz. The Wizard Of Oz opens at the Rockdale Town Hall from March 8th for 10 performances only. The show is being directed by Carina Herbert with Musical Direction by David Lang and Choreography by Donna Brotherson. Tickets can be booked by visiting www.rockdalemusicalsociety.com or calling the box office on 0423566393. 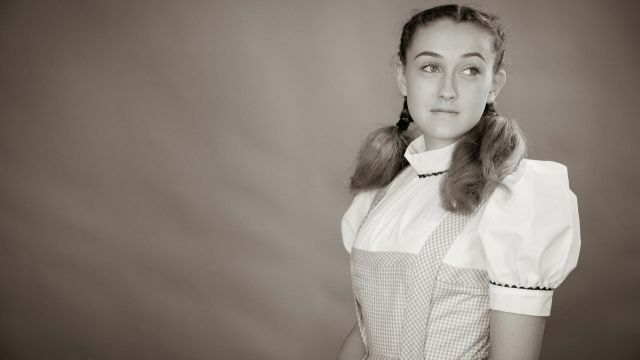 Photos: Georgia Herbert plays Dorothy Gale with Bruiser as Toto in Rockdale Musical Society’s The Wizard Of Oz.